The Garden Gate is a place to play various Pai Sho games with others online. Here is the story of how it came to be. The game of Pai Sho in Avatar: The Last Airbender captivates many fans. We first see Pai Sho when Uncle Iroh teaches the game to the crew on Zuko’s ship. We see that Aang enjoyed playing Pai Sho with his mentor at the Southern Air Temple, Monk Gyatso. Later we see Pai Sho used in a sort of secret handshake between members of the Order of the White Lotus. Our love for Iroh and the fact that Pai Sho is more than just a game tell us what we need to know: we want to play Pai Sho for ourselves. It is an amazing, rich game that stands the test of time. But no rules of Pai Sho are given in Avatar: The Last Airbender, and the portrayal of the game on screen is inconsistent. 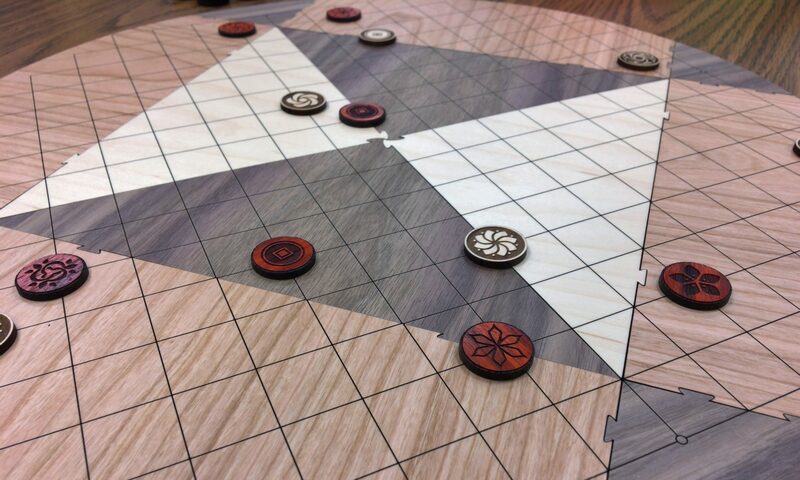 We see the general design of the board and we see that different kinds of tiles are played and moved around the board. In The Legend of Korra we are told that there have been a variety of rules and variations of Pai Sho throughout history. I believe that in telling us this, the creators of the show are encouraging us to create great Pai Sho games for the community of Avatar fans. Over the years, fans have done just that. Some fans created a Pai Sho game based on the actual tiles seen throughout the show, creating a flower arranging theme that drew inspiration from the portrayal of the game in the episode The Desert, where Iroh secretly meets with members of the Order of the White Lotus in a flower shop. Eventually, fans began building their own Pai Sho boards and tiles based on these rules, and some created them for others to buy online. The game of Skud Pai Sho came about when I spent hours digging through the various renditions of those fan-made rules and drooling over the Pai Sho sets that were available to buy online. When I finally got my own Pai Sho set, I found that the rules needed a lot of work in order to be accessible, strategic, and fun. The game needed to be simple enough to teach others in a day, be fun to play, and have a strategic depth to stand the test of time. This game needed to be something that I would be proud to pass down to my children and teach them to play. After months of simplifying, tweaking, and playtesting, Skud Pai Sho was ready to be that great game. Meanwhile, other fans had their own interpretations of what Pai Sho could be. The author of the incredible fanfiction work called Gambler and Vagabond designed a set of rules that drives the story’s characters along their adventure. The game seen in that story is called Vagabond Pai Sho. It is a beautiful game that will leave you wanting more every time you play. There is also Capture Pai Sho, a game of strategic capture and sacrifice with gorgeous tile designs that are a great tribute to the series. Skud Pai Sho, Vagabond Pai Sho, Capture Pai Sho, and even a Solitaire Pai Sho game are all playable online at The Garden Gate. Join the community of Pai Sho players and play Pai Sho every day! Want to support the work needed to keep The Garden Gate website and apps up and running? Support SkudPaiSho on Patreon to do just that. A version of this post was first published at the Pai Sho Tips blog.